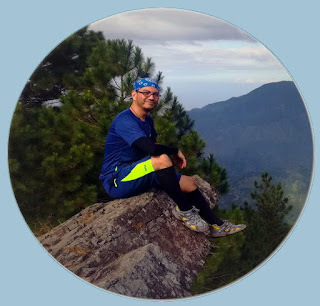 Pinoy mountaineer has the following specs for Taytay falls: Height: 12 meters, Jump-off point: Brgy. Gagalot, Majayjay, Laguna, Trail length: 10 minutes (to first waterfall); 30 minutes (to final waterfall). Travel time from Manila to Brgy Gagalot in Majayjay Laguna where the registration area going to Taytay Falls is around 4-5 hours depending on how heavy the traffic is. Unlike other famous destinations, Taytay Falls is not as easy to reach. However, the clear and ice-cold water of the falls, the fresh mountain air, as well as the thick and verdant forest environment surrounding the waterfall make all the effort well worth it. A quick detour to the barangay hall is needed to register and pay for the registration fee. They also have provisions available for overnighters such as tents, earthpads and the like. After the registration, a 10 to 15 minute walk through paved path is all it takes to reach the falls. The paved path actually runs through a forested area lined with trees and other wild plants. Reminders from the DENR are posted at several points in the trail, reminding visitors that they are entering a protected area. Running parallel to the concrete path is a canal of clear water gushing from the falls. After around 10 minutes of walk, the welcoming sights and sounds of the falls will greet you. 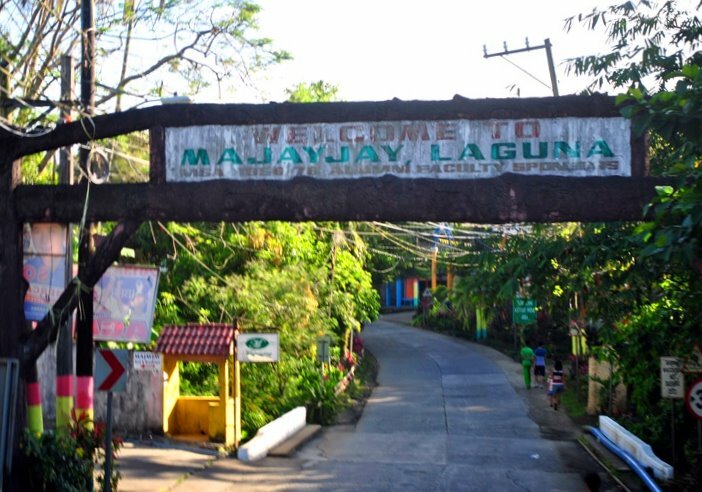 Locally known as Taytay Falls, the waterfall is also referred to as Majayjay Falls (named after the town where it is located) as well as Imelda Falls (after Imelda Marcos who is said to have developed the place for tourism). Basic facilities such as toilets and showers are available. However just like any other public places frequented by hordes of people, please do not expect much. Apparently there were also plans of building apartment-type lodging for overnighters but it seems it has been neglected or not pursued, as evidenced by the half-finished structures found in the camping area beyond the hanging bridge. Food and other provisions can be purchased near the barangay registration area and around the parking area before the concrete path towards the falls. As an alternative to visiting beach resorts, Taytay Falls is great place to go to escape the summer heat and to be close to nature. With its clear and icy water, together with the forested surroundings and clean air, anyone would surely appreciate the beauty of nature at Taytay Falls. From Buendia, ride a bus bound for Sta Cruz, Laguna (Php. 140.00) and get off at Brgy Pagsawitan. 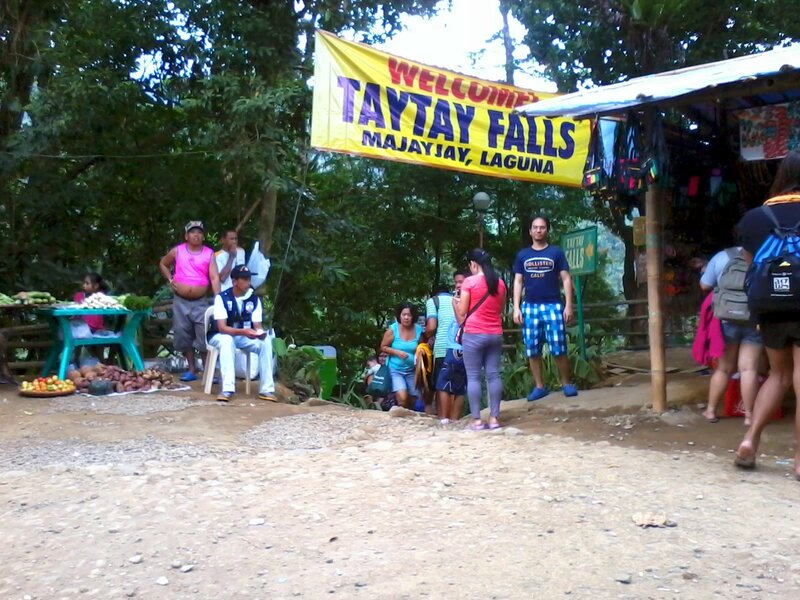 Tell the bus conductor you are heading to Taytay Falls so they can drop you off at the tricycle terminal. Ride a tricycle at Brgy Pagsawitan (Php. 20.00) to the jeep terminal in Sta. Cruz Market. From there, ride a jeep bound for Majayjay (Php. 35.00). At the Majayjay jeep terminal, ride another jeep bound for Taytay (Php. 16.00), then walk towards the Brgy. Hall. You can also visit their Facebook Page to ask questions and for more information.